Olympia’s Own TUSH! 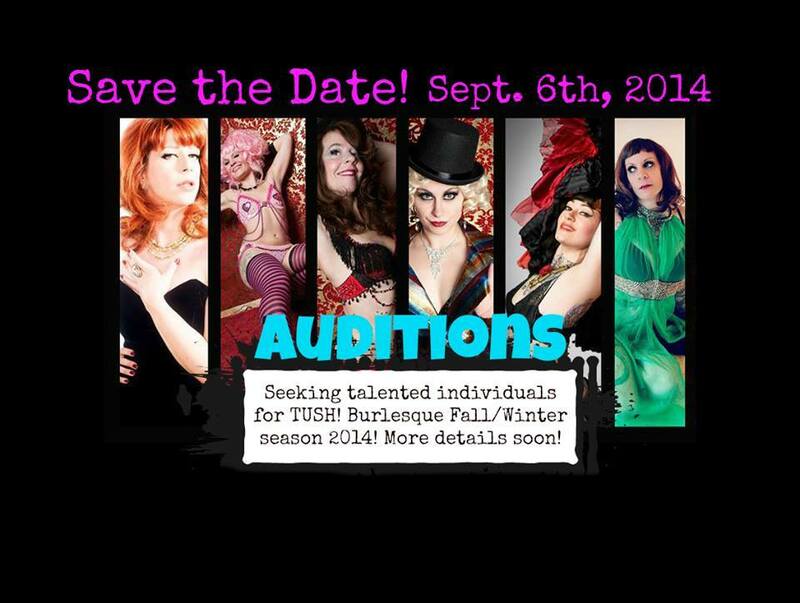 Burlesque seeking new faces. TUSH! Burlesque is seeking talented individuals for our cooperative run troupe during the fall/winter season. We are looking for motivated people of all experience levels to participate at events and in performances in the capacity of interns. This is an opportunity to work closely with our troupe while you learn how our cooperative runs. This internship is intended as a trial membership and will offer mentorship with-in our troupe as well as encouragement for interns to learn and grow as performers, team members and individuals. Auditions will include an introduction to TUSH! Burlesque, an interview, and an opportunity to meet our current members. You will perform a routine of your choice, no longer than 7 minutes, and have a chance to ask TUSH! Burlesque any questions you might have. We encourage performers of all type and experience to take advantage of this fabulous audition opportunity! Please email tushburlesque@gmail.com for an information/audition packet. Details (time, location) will be emailed as well. Don’t delay…send that email and throw your feather boa in the ring to be considered. Being on stage with these ladies would be an absolute riot. (For previous BSP features on TUSH!, click on the tag below). ~ by angrytruffle on 08/17/2014.